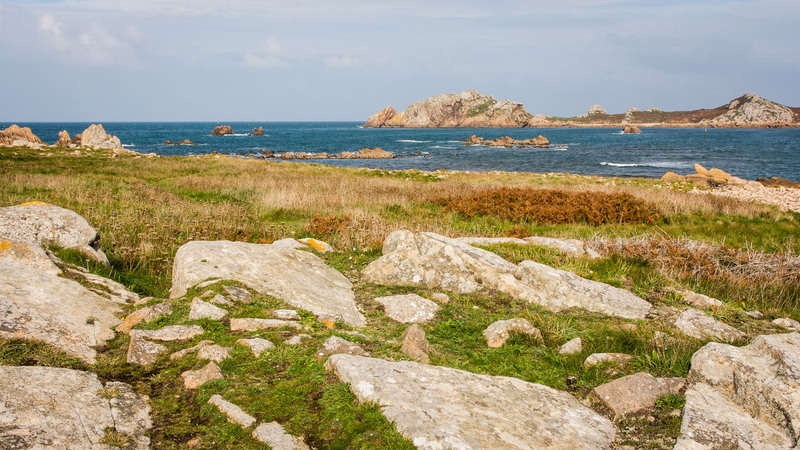 Located ten kilometers from the campsite, north-west of Plougasnou, the tip of Primel is a rocky outcrop of granite where the vast marine horizon is embraced with the vue of Roscoff. It also dominates the top of its 50 meters the Bay of Diben. The peninsula was formed by the meeting of two currents which, over time, have deposited silt to draw what the geologists call the comet’s tail. This site has become for men a strategic site, crossed by rocky outcrops providing a spur for protection. 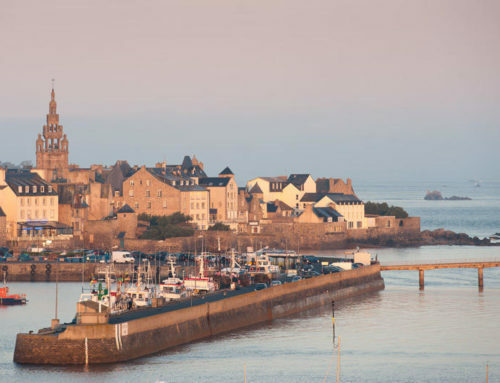 In 900 the Vikings invade it by force then the English during the 100 years war; Spanish allied with the ennemies in the league make a strong place in the late fifteenth century before Vauban installs two pieces of cannon to strengthen the defense of the entrance to the Bay of Morlaix. Finally Napoleon builds the “cabane des douaniers”, small stone construction to monitor the coast, still visible today. Some traces of ruins remain of the “salle verte”, a castle dismantled in 1616 on the site invested by the Germans during World War II. On the plateau, the remains of a concrete mortar base and buried under thick vegetation, the bunker. You can also access the huge beach of Primel. In this wild environment with cliffs and rocks, fully equipped climbing spots have been built for climbers. These spots are practiced on the tip of Primel, and Annalousten and Diben. Nearby Plougasnou diving school is waiting to make you diving to the discovery of the marine world.